Mwari light multirole aircraft is a military variant of the AHRLAC. Image courtesy of Paramount Group. Mwari will be equipped with a Pratt & Whitney PT6A-66B engine. Image courtesy of Paramount Group. Mwari will have a maximum cruise speed of 272kt. Image courtesy of Paramount Group. Mwari is a new light, multirole aircraft being developed by Paramount Group for armed forces across the globe. It is a military variant of the Advanced High Performance Reconnaissance Light Aircraft (AHRLAC). The Mwari project was unveiled in May 2016. Paramount and Boeing made a cooperation agreement in September 2014 for collaborating on specific projects to be implemented in future. The agreement was extended in May 2016 to jointly develop an advanced mission system for the Mwari aircraft. 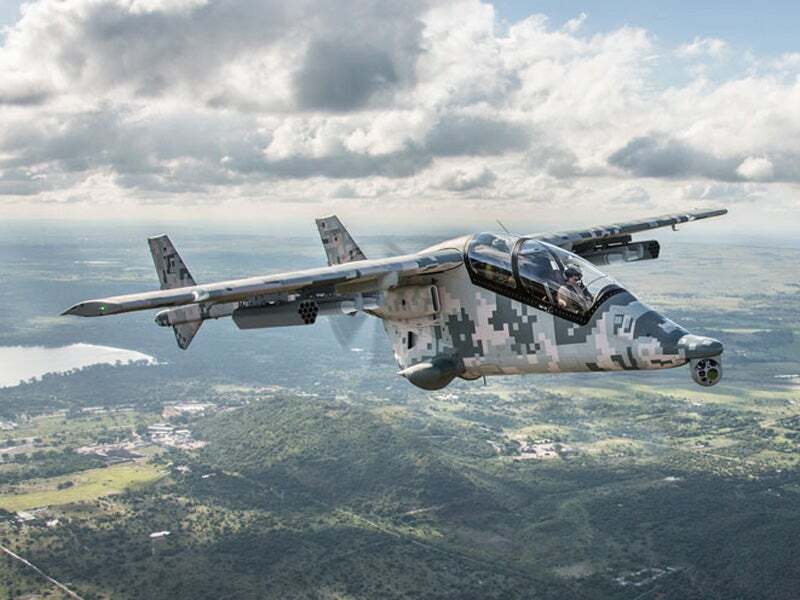 The cost-effective Mwari multirole aircraft can be deployed in border patrol, counter insurgency missions, forward air control, forward airdrop and resupply, armed reconnaissance, and electronic intelligence (ELINT) and communication intelligence (COMINT) missions. Other mission capabilities will include internal security, disaster management and maritime patrol. Incorporating a twin-boom design, the Mwari aircraft will feature airframe constructed using meal and composite materials. The longitudinal booms at empennage feature a pair of vertical stabilisers joined by a horizontal stabiliser. The high-wing design will improve visibility for the crew, while allowing operations from unprepared airfields. The modular design will also support the integration of different mission systems for a range of military operations. The aircraft will have a length of 10.5m, wing span of 12m and a height of 4m. The maximum take-off weight of the aircraft is 3,800kg and maximum payload capacity with full fuel load will be more than 800kg. The aircraft will feature a multi-function IFR glass cockpit, which cockpit accommodates two crew members in tandem seating layout. It can be optionally installed with Martin Baker Mk16 or Mk17 ejection seats. The cockpit will also feature a large vertical separation and will offer optimum view for the crew. Mwari will be armed with a 20mm cannon integrated into the fuselage. The aircraft will also feature six wing-mounted hard points for carrying a combination of weapons. The hard points can be added with surface-to-air missiles, rocket launchers and general-purpose bombs. The aircraft will be equipped with Boeing integrated mission system for conducting intelligence, surveillance and reconnaissance (ISR) and light attack missions. It will feature a belly-mounted, multi-mission sensor pod. "The aircraft will be equipped with Boeing integrated mission system for conducting intelligence, surveillance and reconnaissance (ISR) and light attack missions." The adaptable pod systems aboard the aircraft will allow the integration of forward looking infrared (FLIR) cameras, synthetic aperture radars (SARs), active and passive electronic warfare (EW) systems, and ELINT / COMINT payloads. The single-pusher-engine configuration of Mwari will integrate a Pratt & Whitney PT6A-66B engine driving a single propeller. The flat-rated engine will develop a power of 710kW (950hp). Mwari will be equipped with retractable tri-cycle landing gear designed for semi-prepared and unprepared runways. The landing gear can be optionally integrated with extra-large high flotation wheels. The short take-off and landing (STOL) capability of the aircraft will allow operations in small airfields with short runways or surfaces. With full load, the aircraft will require a take-off distance of 550m. It will survive 8g and -4g loads during operations. Mwari can operate at a maximum altitude of 31,000ft and will have a maximum cruise speed of 272kt. The maximum mission rage and ferry range of the aircraft will be 1,150nmi and 2,000nmi, respectively.